In app development, a variety of use cases and interactions come up as one iterates the code. The app might need to fetch data from a server, interact with the device’s sensors, access local storage or render complex user interfaces. The important thing to consider while writing tests is the units of responsibility that emerge as you design the new feature. The unit test should cover all possible interactions with the unit, including standard interactions and exceptional scenarios. In this article, we will cover the fundamentals of testing and frameworks such as Mockito and Espresso, which developers can use to write unit tests. I will also briefly discuss how to write testable code. 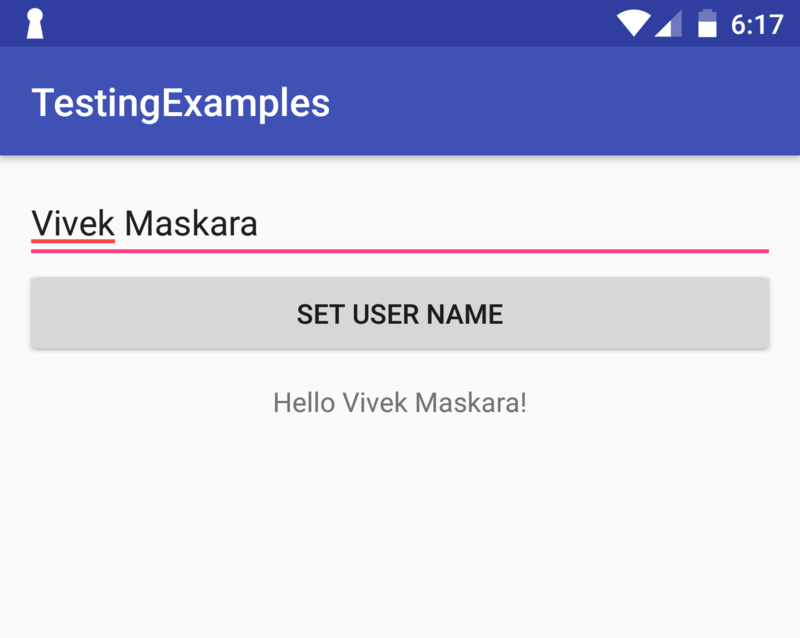 I’ll also explain how to get started with local and instrumented tests in Android. A typical unit test contains three phases. First, the unit test initializes a small piece of an application it wants to test. Then, it applies some stimulus to the system under test, usually by calling a method on it. Finally, it observes the resulting behavior. If the observed behavior is consistent with the expectations, the unit test passes; otherwise, it fails, indicating that there is a problem somewhere in the system under test. These three unit test phases are also known as arrange, act and assert, or simply AAA. The app should ideally include three categories of tests: small, medium and large. Small tests comprise unit tests that mock every major component and run quickly in isolation. Medium tests are integration tests that integrate several components and run on emulators or real devices. Large tests are integration and UI tests that run by completing a UI workflow and ensure that the key end-user tasks work as expected. Note: An instrumentation test is a type of integration test. These are tests that run on an Android device or emulator. These tests have access to instrumentation information, such as the context of the app under test. Use this approach to run unit tests that have Android dependencies that mock objects cannot easily satisfy. Writing small tests allows you to address failures quickly, but it’s difficult to gain confidence that a passing test will allow your app to work. It’s important to have tests from all categories in the app, although the proportion of each category can vary from app to app. A good unit test should be easy to write, readable, reliable and fast. 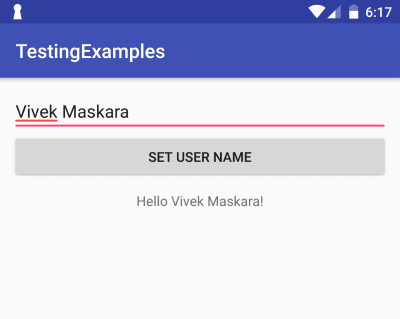 Here’s a brief introduction to Mockito and Espresso, which make testing Android apps easier. Mockito is a mocking framework that tastes really good. It lets you write beautiful tests with a clean & simple API. Mockito doesn’t give you hangover because the tests are very readable and they produce clean verification errors. Its fluent API separates pre-test preparation from post-test validation. Should the test fail, Mockito makes it clear to see where our expectations differ from reality! The library has everything you need to write complete tests. Espresso helps you write concise, beautiful and reliable Android UI tests. The code snippet below shows an example of an Espresso test. We will take up the same example later in this tutorial when we talk in detail about instrumentation tests. the idling resources are idle. These checks ensure that the test results are reliable. Unit testing Android apps is difficult and sometimes impossible. A good design, and only a good design, can make unit testing easier. Here are some of the concepts that are important for writing testable code. The application logic classes, which are devoid of the “new” operator and which are responsible for doing the work. The most common operation you will do in tests is the instantiation of object graphs. So, make it easy on yourself, and make the constructors do no work other than assigning all of the dependencies into the fields. Doing work in the constructor not only will affect the direct tests of the class, but will also affect related tests that try to instantiate your class indirectly. Unit tests can be run locally on your development machine without a device or an emulator. This testing approach is efficient because it avoids the overhead of having to load the target app and unit test code onto a physical device or emulator every time your test is run. In addition to Mockito, you will also need to configure the testing dependencies for your project to use the standard APIs provided by the JUnit 4 framework. Start by adding a dependency on JUnit4 in your project. The dependency is of the type testImplementation, which means that the dependencies are only required to compile the test source of the project. We will also need the Mockito library to make interaction with Android dependencies easier. Suppose you want to test the displayUserName function in the UserService. For the sake of simplicity, the function simply formats the input and returns it back. In a real-world application, it could make a network call to fetch the user profile and return the user’s name. Similarly, you’ll need to mock all dependencies required to construct the instance of the UserService class. Before your test, you’ll need to initialize these mocks and inject them into the UserService class. @InjectMock creates an instance of the class and injects the mocks that are marked with the annotations @Mock into it. MockitoAnnotations.initMocks(this); initializes those fields annotated with Mockito annotations. The test uses a doReturn().when() statement to provide a response when a context.getString() is invoked. For any input integer, it will return the same result, "Hello %s!". We could have been more specific by making it return this response only for a particular string resource ID, but for the sake of simplicity, we are returning the same response to any input. In order to run the unit tests, you need to make sure that Gradle is synchronized. In order to run a test, click on the green play icon in the IDE. You are done with your first unit test! Instrumentation tests are most suited for checking values of UI components when an activity is run. For instance, in the example above, we want to make sure that the TextView shows the correct user name after the Button is clicked. They run on physical devices and emulators and can take advantage of the Android framework APIs and supporting APIs, such as the Android Testing Support Library. We’ll use Espresso to take actions on the main thread, such as button clicks and text changes. Instrumentation tests are created in an androidTest folder. If you want to test a simple activity, create your test class in the same package as your activity. To create a test for the MainActivity, we will start by creating a MainActivityTest class under the androidTest directory. Add the AndroidJUnit4 annotation to the class to indicate that the tests in this class will use the default Android test runner class. Next, add an ActivityTestRule to the class. This rule provides functional testing of a single activity. For the duration of the test, you will be able to manipulate your activity directly using the reference obtained from getActivity(). Now that you are done setting up the test class, let’s add a test that verifies that the user name is displayed by clicking the “Set User Name” button. The test above is quite simple to follow. It first simulates some text being typed in the EditText, performs the click action on the button, and then checks whether the correct text is displayed in the TextView. Just like for unit tests, click on the green play button in the IDE to run the test. Upon a click of the play button, the test version of the app will be installed on the emulator or device, and the test will run automatically on it. Espresso is one of the most popular UI testing frameworks, with good documentation and community support. Mockito ensures that objects perform the actions that are expected of them. Mockito also works well with dependency-injection libraries such as Dagger. Mocking the dependencies allows us to test a scenario in isolation. Until now, our MainActivity hasn’t used any dependency injection, and, as a result, we were able to write our UI test very easily. To make things a bit more interesting, let’s inject UserService in the MainActivity and use it to get the text to be displayed. With Dagger in the picture, we will have to set up a few things before we write instrumentation tests. Imagine that the displayUserName function internally uses some API to fetch the details of the user. There should not be a situation in which a test does not pass due to a server fault. To avoid such a situation, we can use the dependency-injection framework Dagger and, for networking, Retrofit. familiar with Dagger, check out Google’s documentation on it. We will start adding dependencies for using Dagger in the build.gradle file. Create a component in the Application class, and add the necessary modules that will be used in our project. We need to inject dependencies in the MainActivity of our app. We will add a @Module for injecting in the activity. The AppModule class will provide the various dependencies required by the application. For our example, it will just provide an instance of Context and UserService. The AppComponent class lets you build the object graph for the application. Create a method that returns the already built component, and then inject this component into onCreate(). In order to mock responses from the server, we need to create a new Application class that extends the class above. As you can see in the example above, we’ve used Mockito to mock UserService and assume the results. We still need a new runner that will point to the new application class with the overwritten data. Next, you need to update the build.gradle file to use the MockTestRunner. All tests with the new TestExamplesApplication and MockTestRunner should be added at androidTest package. This implementation makes the tests fully independent from the server and gives us the ability to manipulate responses. With the setup above in place, our test class won’t change at all. When the test is run, the app will use TestExamplesApplication instead of ExamplesApplication, and, thus, a mocked instance of UserService will be used. The test will run successfully when you click on the green play button in the IDE. That’s it! You have successfully set up Dagger and run tests using Espresso and Mockito. We’ve highlighted that the most important aspect of improving code coverage is to write testable code. Frameworks such as Espresso and Mockito provide easy-to-use APIs that make writing tests for various scenarios easier. Tests should be run in isolation, and mocking the dependencies gives us an opportunity to ensure that objects perform the actions that are expected of them. A variety of Android testing tools are available, and, as the ecosystem matures, the process of setting up a testable environment and writing tests will become easier. Writing unit tests requires some discipline, concentration and extra effort. By creating and running unit tests against your code, you can easily verify that the logic of individual units is correct. Running unit tests after every build helps you to quickly catch and fix software regressions introduced by code changes to your app. Google’s testing blog discusses the advantages of unit testing. The complete source code for the examples used in this article is available on GitHub. Feel free to take a look at it.